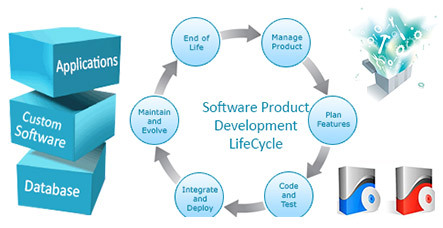 CPN: Offshore Software Development, Outsourcing Software development, Web Development, website Design - products. Our products highly secure, reliable and scalable, it is maintained on Cloud platform delivers the customization and extensibility you need to make your business management platform of choice for your current and future needs. CPN understands the unique business processes and needs of your company. To learn more about how you can increase your business value and achieve tangible, rapid results with CPN Software solutions then lets discuss indeed. Himalayan CRM is a small business CRM that is is typically lightweight CRM, it designed to meet the unique needs of a small business without being cumbersome, overwhelming or expensive to maintain. These systems will consolidate customer records and other data to give your business timely access to critical business data and actionable business insights. This means less time wasted trying to maneuver through reports and functions you really don't need. This software is used to manage the content and appearance of online catalogs, offering comprehensive functions to edit, manipulate, and arrange product classification and attribute data. Product content management systems are also used to create catalog content, providing the interactive tools to acquire and transform the aggregate product data from multiple sources into content suitable for use in e-commerce. ieverest is the software that offers the most comprehensive solution for streamlining high volume travel enterprises business operations. This software is capable of manage online tour booking mangement to customer information, it also help to track financial status of the company. It is complete offline mapping android application, that helps to navigation & guided trail service for outdoor Enthusiast around in Nepalese Himalaya. This apps will be good for hiking around in Nepal, it also help to track your pace and distance while trekking in Nepal.